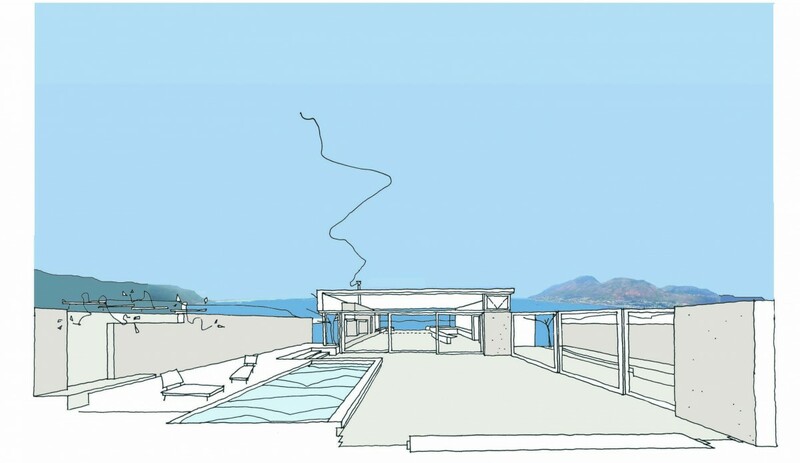 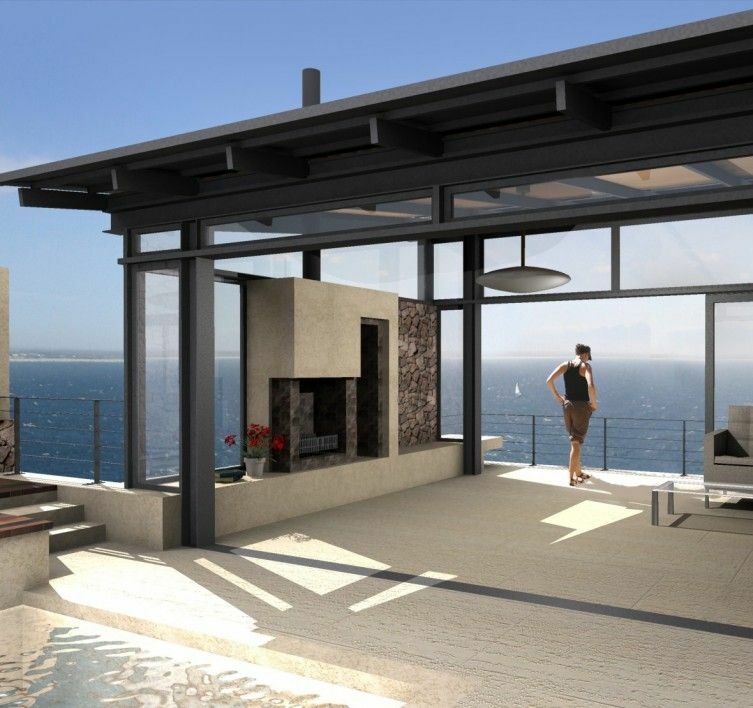 This proposal aimed to take advantage of the views across False Bay, while still providing protection from the harsh summer winds. 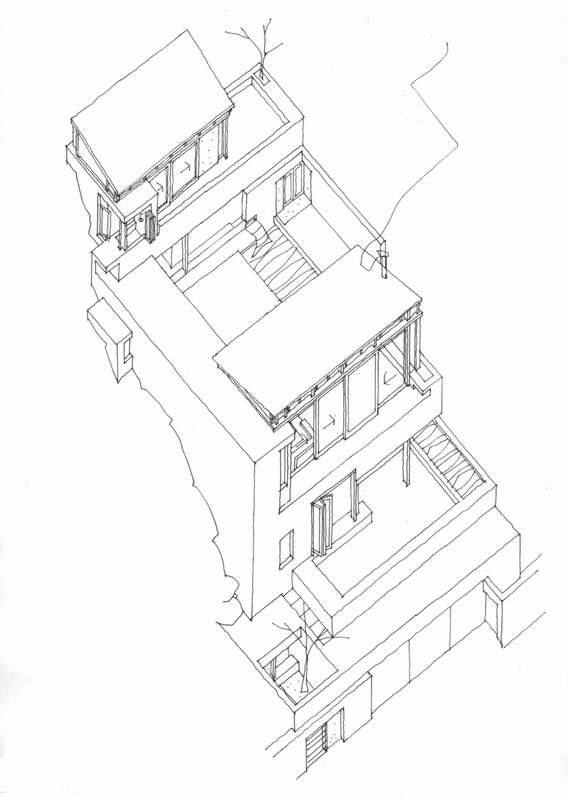 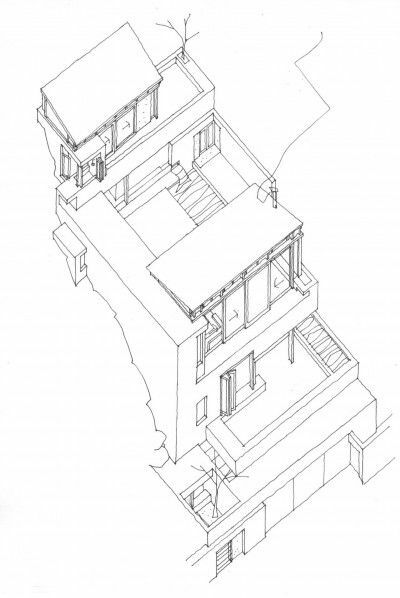 Limiting the footprint and impact of the guesthouse and integrating the house with the sheer, rocky mountainous site was the key design challenge. 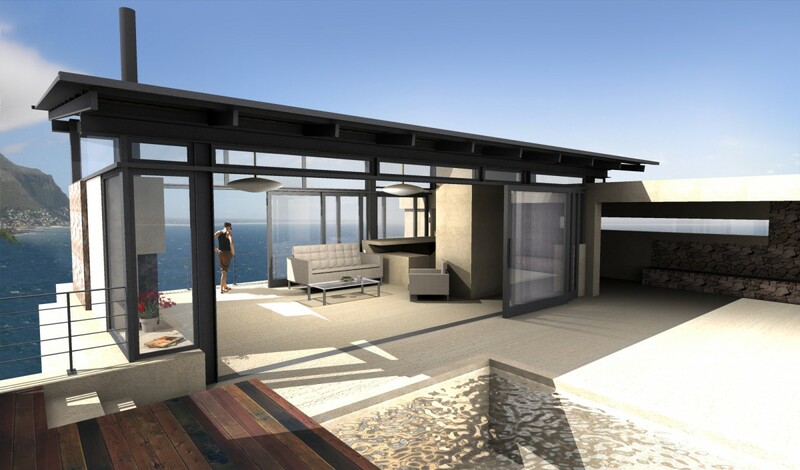 A series of indoor and outdoor spaces ascend the slope, these 'living' terraces are orientated to selected views within the Cape coastal landscape such as, the Indian Ocean, Simon's Town, Elsie's Peak, Fynbos vegetation and rocky slopes. 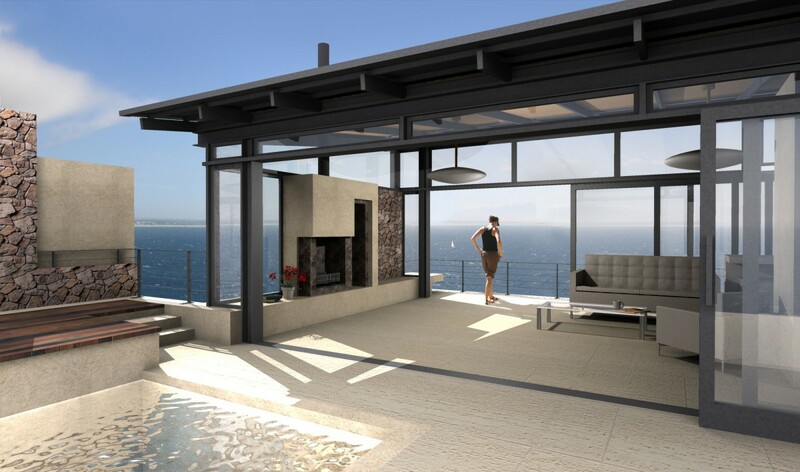 The transparent, simply constructed ''living box' crowns the mountain top terrace has slide-away glazing, screens, landscaping and pool which creates a sheltered place from which to experience the dramatic setting.